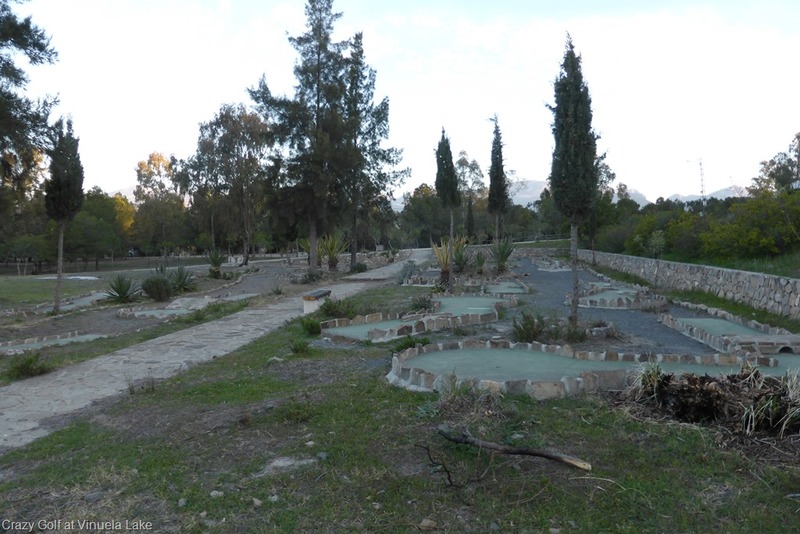 Crazy Golf but no Ball at Vinuela! 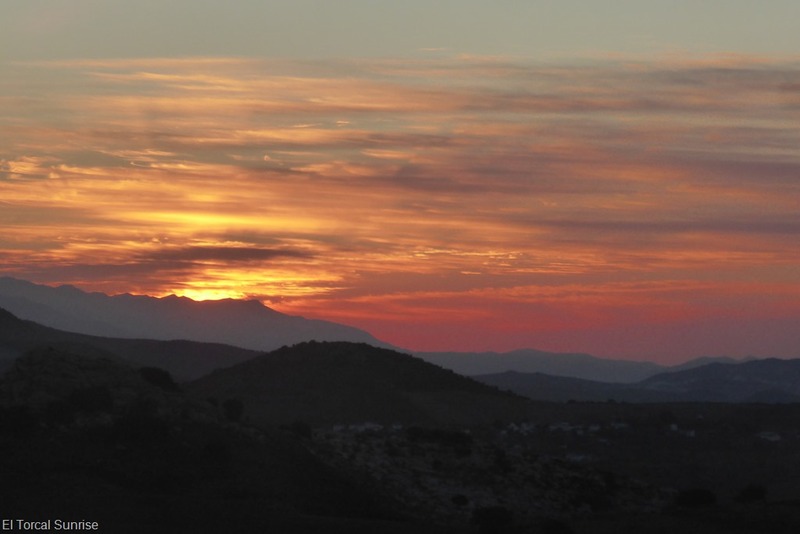 We had a good night at the lower El Torcal car park and woke to a beautiful sunrise over the mountains. Ready to go Steve did his usual check around the Motorhome, he glanced up to the mountain behind us to see a boulder about ten meters in diameter sitting very precariously about 200 meters directly above us, a quick google tells us that said boulder would probably weigh in excess of a hundred tonnes. OK it may have been sitting there for a couple of thousand years but it’s still a little disconcerting to find you’ve been sleeping right under it! So where to next? 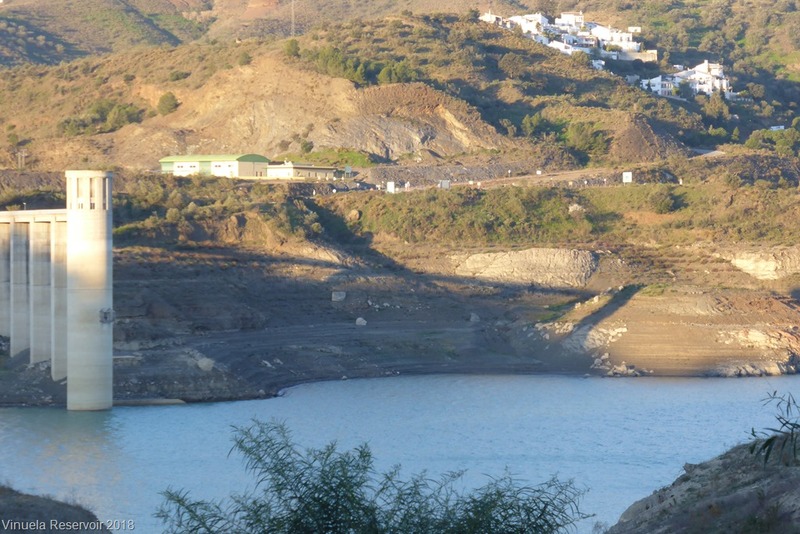 On OurBumble they had visited a reservoir near Vinuela so we set TomTom to their coordinates: N36.863809, W-4.157841 which took us through beautiful country side with very steep winding hills and small towns which left us wondering what it was like being so far from anywhere. Our house in France is about ten miles from shops but these places were about thirty. Finally after about two hours and just 56 km we arrived at the side of a large but fairly empty lake. Surrounded by picnic tables and brick built barbeques and the odd water tap. We got out to look for the best place to park and both stepped in dog droppings in amongst the leaves. We are not dog owners, and have nothing basically against dogs. But dog owners who take their pets to a picnic area where kids will be playing and let them do what they like just gets the steam coming out of our ears. The biggest joke was that there were some “Very Nice” English ladies with their dogs, getting very upset about the council not dealing with all the processionary caterpillars crawling around that may harm their dogs, but paying no attention at all to what their dogs were doing that may harm kids that came to play. OK Rant over, we know some very nice dog owners who I am sure would be just as horrified by the state of this place as us. 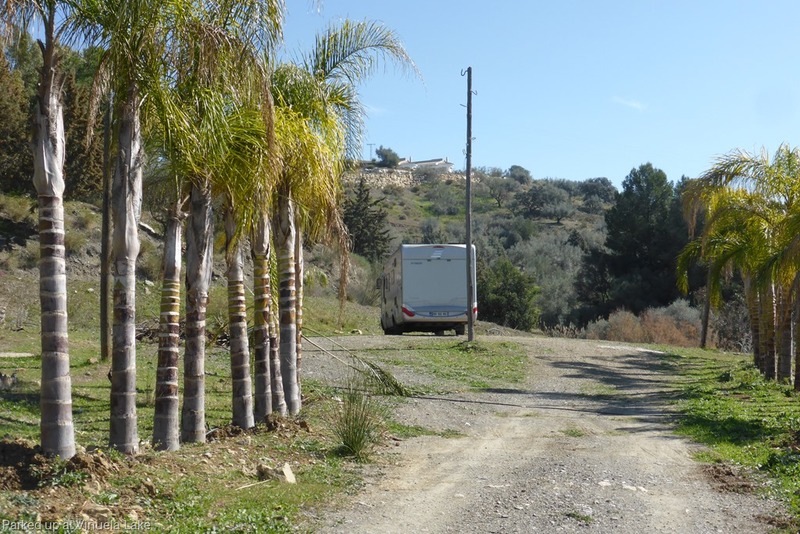 Having found some clumps of grass under a hedge and cleaned our shoes as best we could, we walked around a bit to see if there was a better place to park, and found a fairly flat area by some palm trees. Which was away from the area where the lazy dog owners would stop their cars and let their dogs lose. It was nice enough to sit out in the sun reading for the last couple of hours of sun in the afternoon after a long walk. We had read on OurBumble that they had played Crazy Golf here and sure enough just behind us was this fairly dilapidated but quite usable facility. We could probably have improvised something for a club, but unfortunately we didn’t have a ball with us so we couldn’t have a game. Something else to pack perhaps? 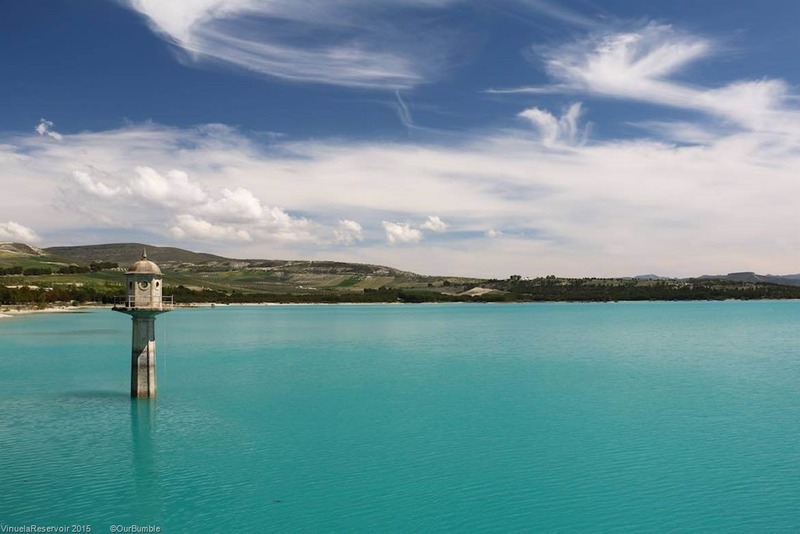 Knowing how bad the water shortage in the South of France is getting we were quite concerned about the water level in the reservoir which, when compared to a similar picture in the OurBumble blog, looked as if the reservoir was almost empty. They visited here in April 2015 so almost exactly three years. But while writing this I noticed that the stand-pipe thingy in the picture has changed and remembered that we saw a large board while we were out walking, that was saying that millions of euros were being spent on improvements to the reservoir. It was all in Spanish, but that’s what we thought it said. If that is so, they may have emptied the reservoir to do the improvements. Presumably the bridge out to the Standpipe is one of those improvements. We had a nice day and night there and could probably have stayed a couple more. The police drove round once and paid no attention to us. 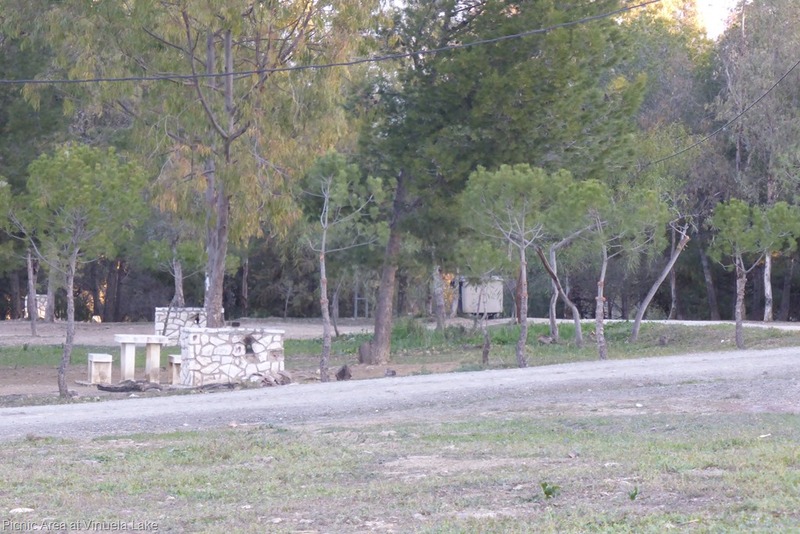 The place is a bit tired but they have just built a toilet block which will certainly improve the place. It will be worth a visit another year just to see. The one thing that spoilt it for us was the very inconsiderate dog owners. But there’s no way to overcome that. But as wild camping spots go very nice and worth exploring much more of the surrounding hills another time. Don’t forget, a click or tap on any of the pictures will bring up a bigger version. Not a JCB in Sight–How Did They Do It?